JUSTICE NOT CRISIS | Justice Not Crisis highlights injustices and campaigns to put them right. Felicity Norman, Green European Candidate, Supports our Campaign. 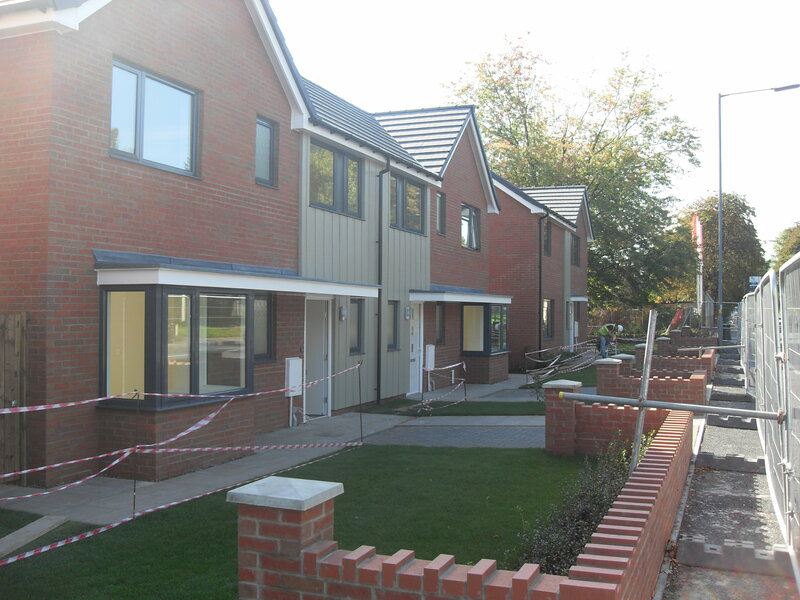 Birmingham City Council’s first new homes for nearly 30 years are nearing completion on the site of our first land squat on the Pershore Road, Edgbaston. 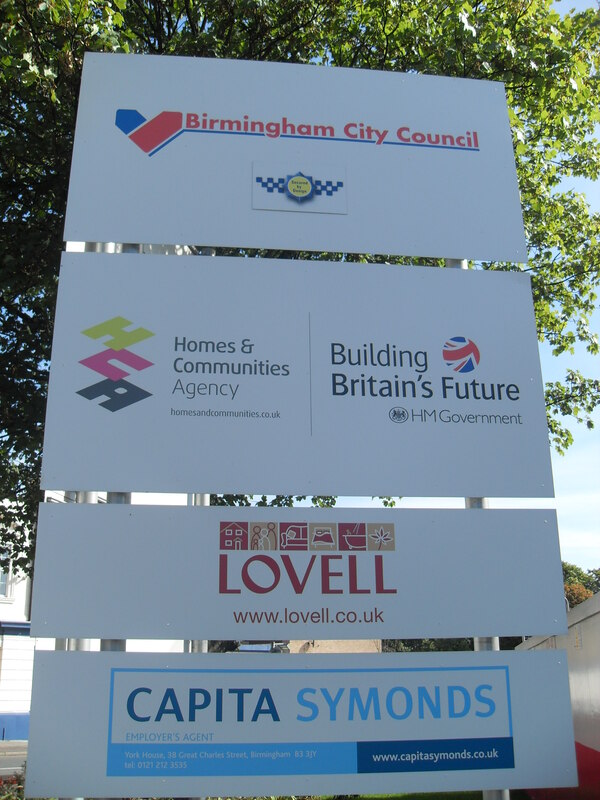 Thanks to Councillor John Lines, Cabinet member for Housing, under the banner of Birmingham Municipal Housing Trust, new tenants will from today, move into their brand new designer homes which are currently being built by Lovell Homes. 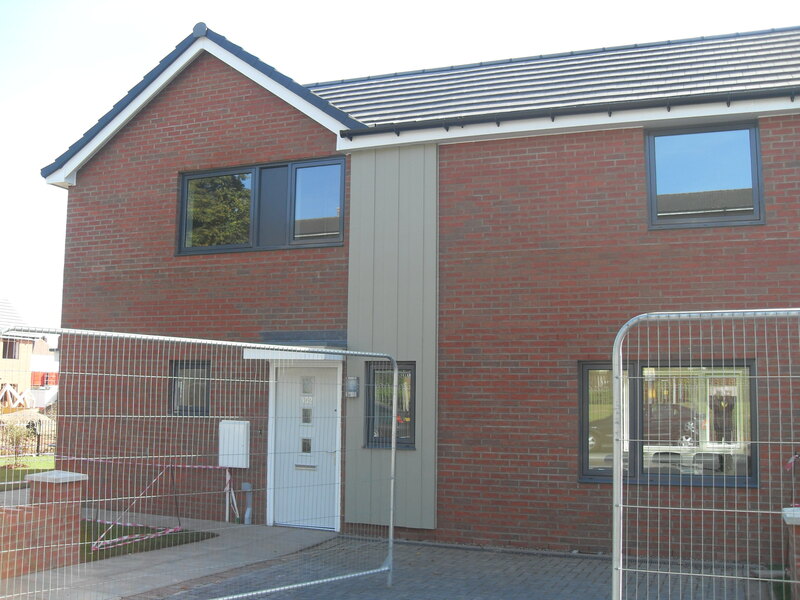 The homes are of an exceptional standard and size and are a credit to Cllr Lines, and his housing team. The attention to detail and eco-friendly facilities are first-rate. 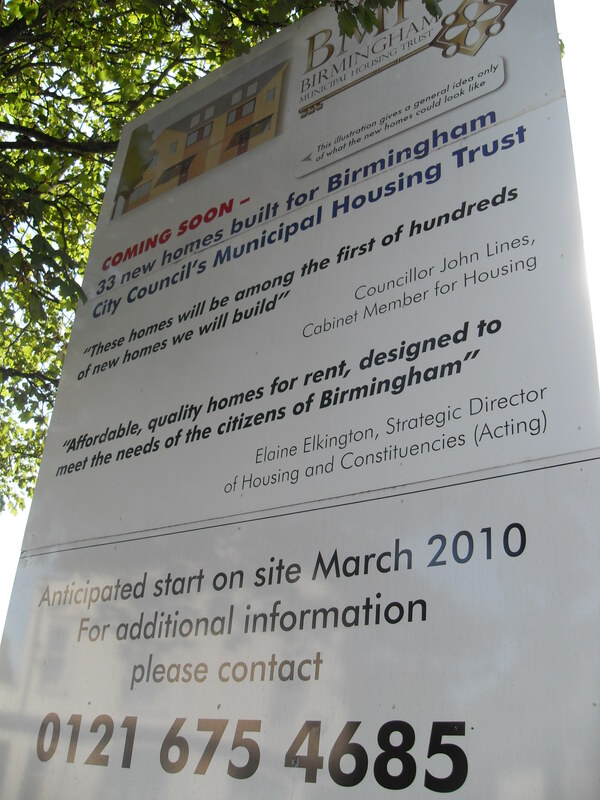 John has kept his promise to Birmingham residents to build 500 new homes in the first year. Despite the recession and substantial cutbacks the Council are now allowed to keep Capital receipts from Land sales to build new homes. In addition the £57M Housing Revenue Account which was stolen from Birmingham by the previous Labour Government has been handed back to Birmingham by the Conservative led coalition Government. John Lines has promised to continue to build throughout Birmingham thus ensuring the massive demand for Socially rented properties will start to be addressed. We accept this is only a start but it is significant that John’s persistence has paid off, and this year alone will see 617 properties either completed or started. The homes feature the latest heating systems and rainwater recycling facilities and would not look out-of-place in the pages of glossy magazines on the open market, a far cry from Council homes when they were first built. It is a proud day for Birmingham to see homes of such quality available for rent from the local authority. A big THANK YOU goes to John Lines, his dedicated housing team and to Lovell Homes. Optima Cash Crisis ? New homes in doubt! BIRMINGHAM IS FRONT RUNNER IN BID TO BUILD NEW HOMES. Justice Not Crisis highlights injustices and campaigns to put them right.